Most speakers at some point will lose their train of thought or get stuck for words. It happens to me regularly. This isn’t a sign of memory loss or early senility. It’s just that when you have a lot on your mind you sometimes get lost. But it can be quite anxious-making. Having something to fall back on is a good idea. Which is where notes come in. What type of notes should you use? Well it depends. If you are giving a big talk to an important group then it is wise to prepare detailed notes. You probably won’t need to read from them but they are reassurance that if you get nervous you have something to fall back on. When writing notes remember that speaking is different from writing. When you speak you are more informal/unstructured than in writing. So once you’ve written your script, read it out to see if it flows. 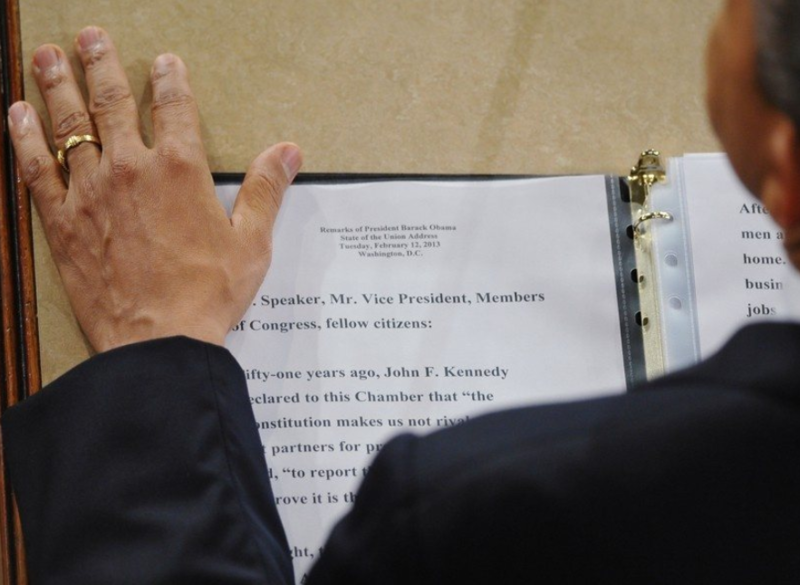 But a densely packed page of font size 12 is not going to help much. When you get anxious the words on a page will turn into a moving sea of letters and a simple task like finding your place on the page becomes very difficult. number the pages to keep track of where you are. Once you have written your conference paper it’s very easy to think that this is your script. It’s not. If you start reading your paper you will quickly lose your audience. They can read faster than you can speak so they will stop listening and start reading. You need to create a different set of notes for your talk. In your talk you will be highlighting key points – not going into every minute detail. Another fundamental difference is that we speak differently from the way we write. When we speak we tend to use shorter sentences. When we write, sentences can be long and often complicated. In speaking we also tend to be more informal and not always grammatically correct. “The survey was administered to 30 subjects”. “We gave the survey to 30 participants”. If you feel confident you might use key points. Many people use PowerPoint for this purpose. The key words will trigger you to elaborate and remind you of the content. Even if you are using key points you might decide to write out some parts in full, for example, if you need to explain a complicated concept; if you have a specific story or example that it is important to get right; or if there are complicated words or names. 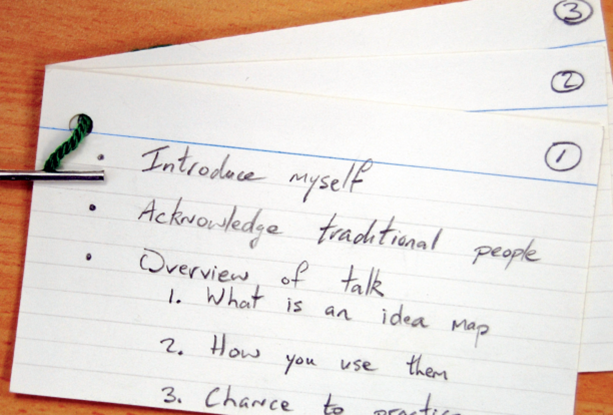 Some people use index cards rather than A4 sheets of paper. The index cards are not a full script, just reminders of key points. They are easy to carry around and limit you to key points. However, if you’re nervous you might drop them and then lose your place. So some people number them, punch a hole in them and tie them together. 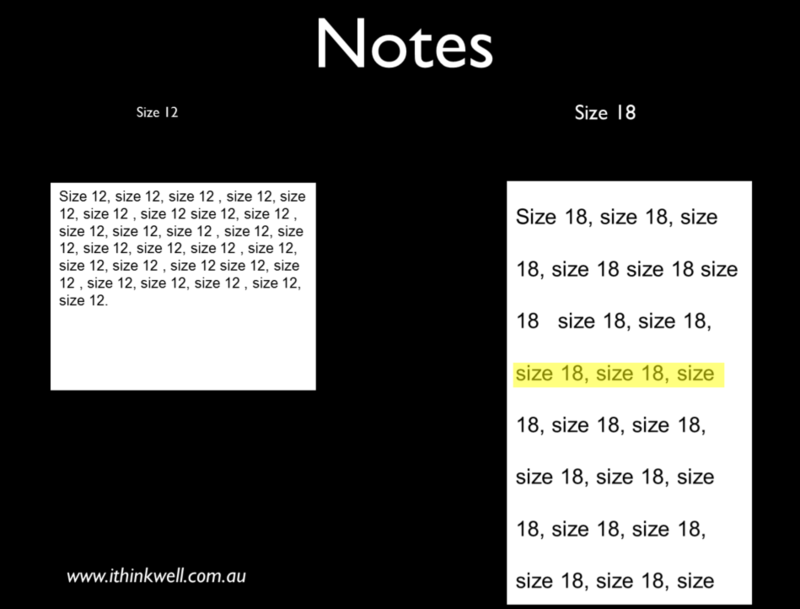 In PowerPoint you can create a notes page for each slide. You can print these out to refer to as you go through the slides. This entry was posted in Preparing and tagged Notes. Bookmark the permalink.